Dirtbusters are a family run business and really understand the importance of customer service and are very proud of our customer satisfaction record within the jetwash cleaning sector in our beautiful hometown of Liverpool. Many homes and commercial properties across Liverpool and Merseyside have paved areas that require jet-wash cleaning and refurbishment. Dirtbusters (Jetwash division) Liverpool ltd are fully trained, insured and experienced to carry out this specialised pressure washing work to the highest of industry standards and will only leave your property when both parties are totally happy with all the jet wash cleaning work carried out. And as we are a family run business, we understand the importance of good honest work, that will lead to repeat clients as well as recommendations. Has your decking dulled in colour since you first installed it? Has it become slippery? Dirtbusters (jetwash division Liverpool) can revive your decking using a specialist pressure washing system, whether it’s a simple clean you need or a complete refurbishment, we can help. Decking will usually look great at first, but the damp climate here in sunny Liverpool can quickly make the decking look tired and in need of a professional makeover. Algae and moss are usually the culprits and can make the surface of the wood very slippery in damp conditions. As many gardens have decked areas, we are often asked to help with ongoing maintenance to keep the wood looking good at all times. A properly performed pressure washing may be all that is needed to restore wood decks to a like new appearance. 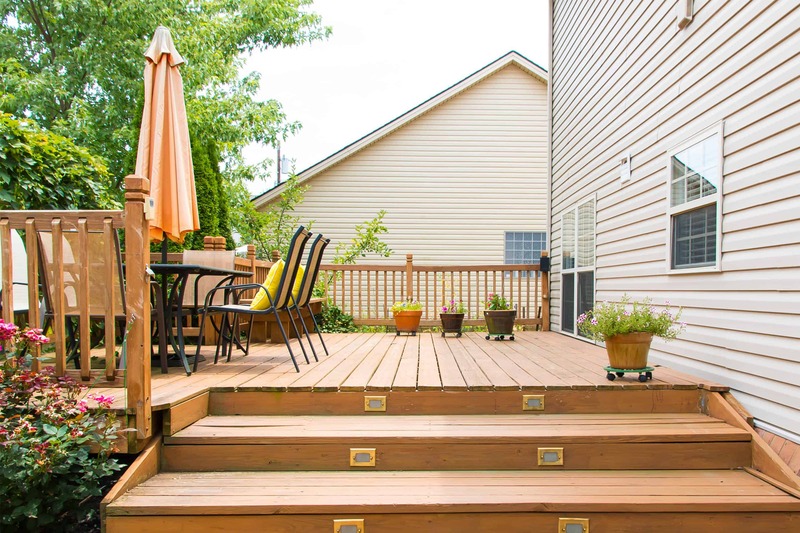 Deck cleaning is an affordable project and after power washing or pressure washing decks thoroughly, sealers and stains will perform much better while making your deck look like new, enhancing the natural aspect of the wood and creating a barrier to UV light penetration. Graffiti can create a negative impression of any building that has been abused by spray cans or any other type of vandal’s spray paint. The fact is that graffiti attracts more graffiti like a magnet, so it needs to be removed in a professional manner quickly and effectively. 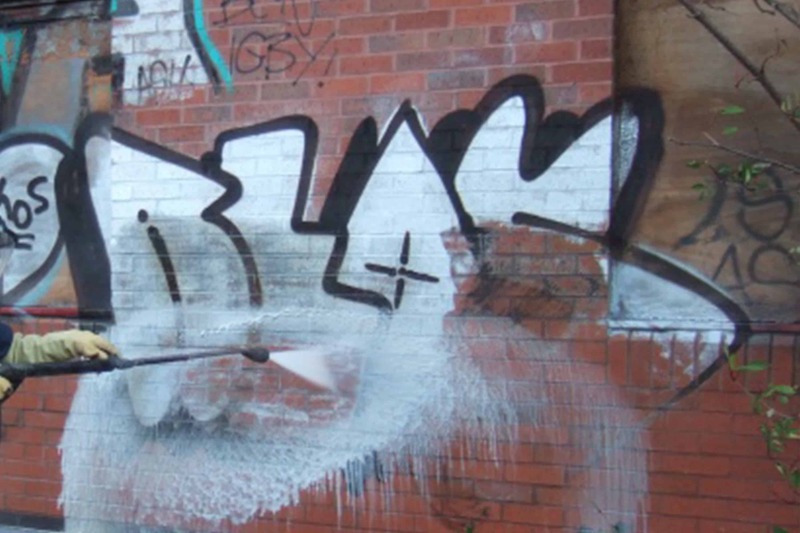 Dirtbusters can offer our domestic and commercial customers a fast graffiti removal cleaning service in Liverpool. Environmentally friendly, Safe & efficient, Cost effective. We have an array of products to remove graffiti from brick, plastic, metal etc. Over time block paving can look worse for wear. It can look dull and dirty, be slippy and there may even be a small jungle growing in between the blocks! 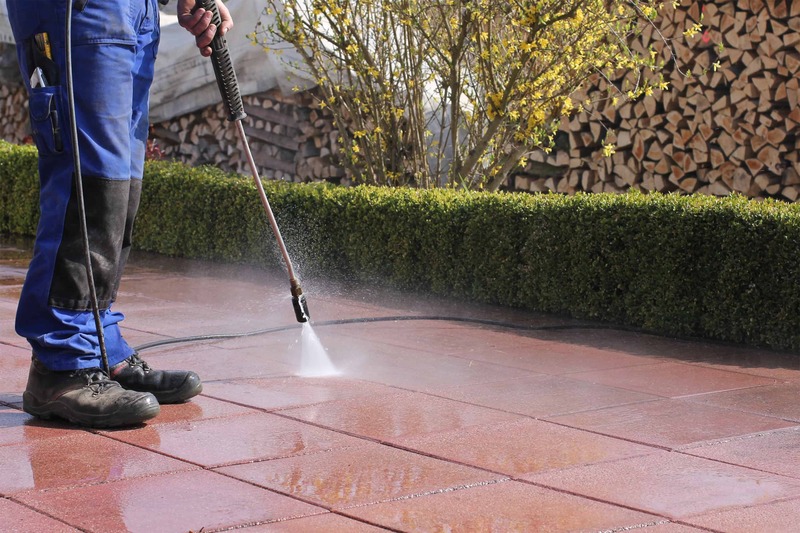 Dirtbusters Jetwash cleaners Liverpool have invested heavily in pressure washing equipment so we can restore your block paving back to its former glory. Power-washing block paving really is a great investment and can transform the entire look of the exterior of your home. This may be on the driveway or patio. 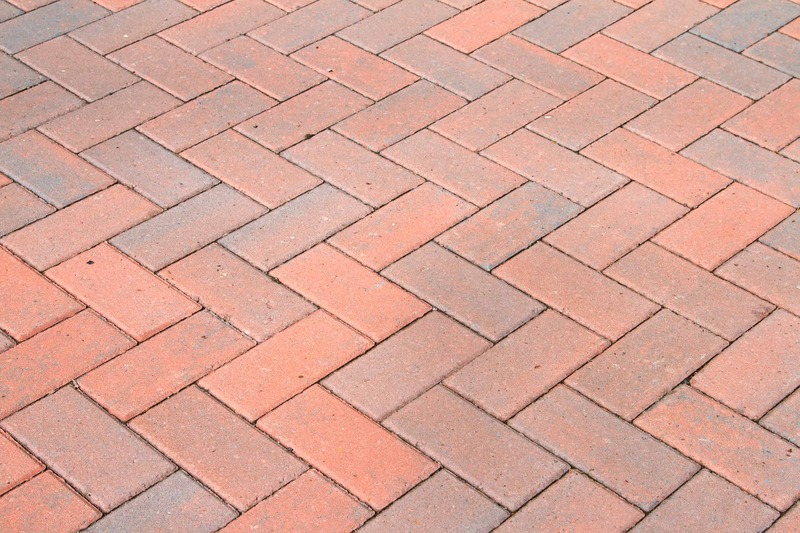 After your block paving has been thoroughly cleaned we will return a few days later to refill the gaps in between the blocks (joints) with kiln dried, weed inhibiting sand. This must not be done on the same day. This ensures the blocks are completely dry and ready for the sand to be brushed in thoroughly. This jointing sand is not there to simply fill in the gaps – it provides the essential friction that generates the horizontal and vertical interlock that allows these ‘small bricks’ to carry such big loads like cars. There are lots of commercial workplaces in and around Liverpool that will sooner or later need a good deep pressure wash. Whether it be the front of a shop, chewing gum on the pavement, car park, tennis court, the list goes on. 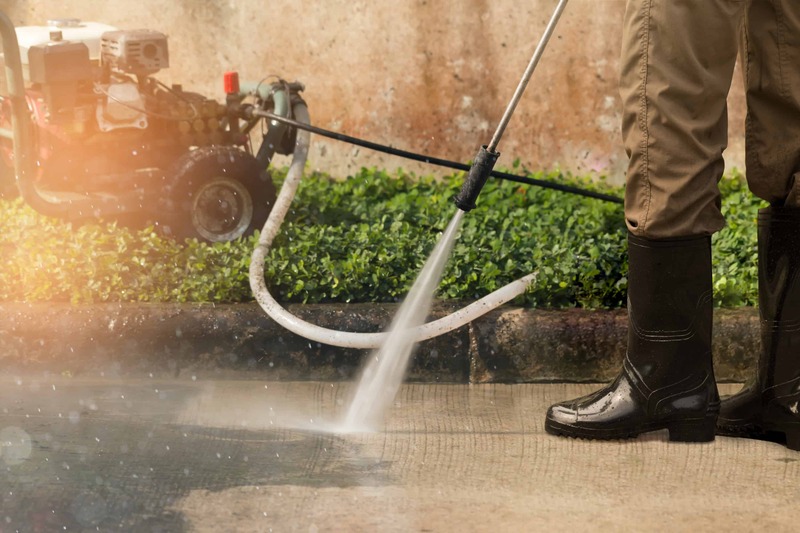 We can supply risk assessment documents, as well as insurance certificates so as our commercial clients can have peace of mind whilst er take care of the jetwashing. 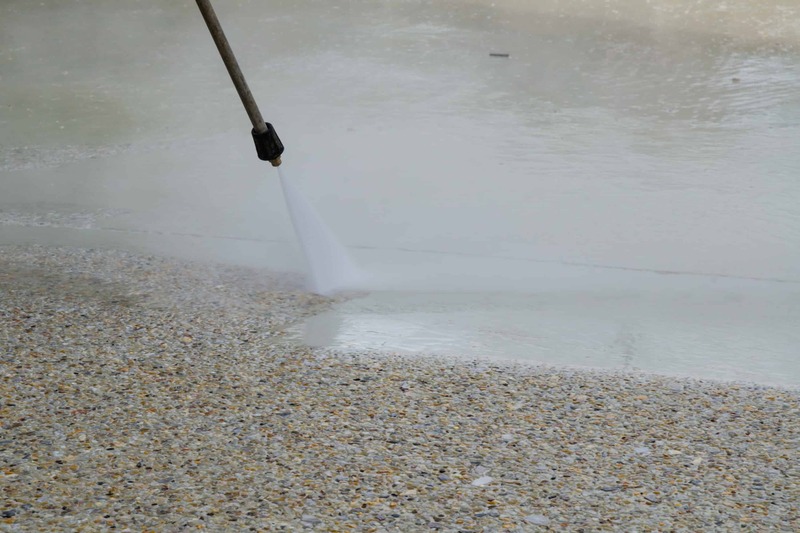 Dirtbusters patio jetwashing service is a very popular service as it can quickly and inexpensively restore the beauty and life of your patio flags, Indian stone etc. Over the years and harsh winters, the build up of weeds, moss, lichen, and algae can make your patio areas look old and tired, as well as dangerously slippery. Dirtbusters high powered jetwash flat surface cleaning equipment can bring all your patio areas back to life with a minimum of disruption. The Dirtbusters patio cleaning system simply cuts through the dirt and grime, leaving you with a patio clean enough to eat off! 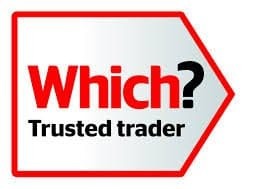 For a price on garden patio cleaning in Liverpool and Merseyside, Call anytime on 0151 448 1797. We clean all patio floor types, from concrete slabs, Indian stone, Garden decking as we as any other hard floor type. Your outside area is one of the largest investments in your home, we can get it looking as fresh as it was the day it was laid. Does your driveway or path to your home need a bit of love? Its the first thing you and your visitors see upon arrival, and now the lighter nights are approaching you get to see that dirty driveway and path even more! Common mediums for drives that we can jetwash or block paving, concrete slabs, Indian stone, cobbles etc. This is a very popular clean for homeowners that are looking to sell their properties. Excellent service, excellent results and clean and tidy finishing. Completed cleaning work to block paving, flags and concrete slab. My driveway was jet washed by Dirtbusters last week. Very happy with the job and will hire again. Have your driveway or patio jet-washed during Summer 2019 and you will get a £10 discount on any sofa or carpet cleaning services. As well as taking care of domestic pressure washing, we can also help with exterior cleaning for commercial clients. This may be the pavement outside a shop or graffiti cleaning from a wall in the city centre. Dirtbusters take health & safety very important as working with such high pressurised water can be dangerous. Commercial Jet Washing in Liverpool can be performed out of hours and in hard to access areas.